Last week we talked about a “low-security” way to keep someone out of a particular file or folder, just by “hiding” it. 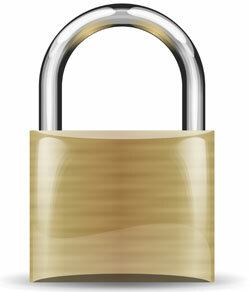 Today is part 2, and this procedure uses a separate program to provide a much higher level of security. Rather than just protecting a file by making not readily visible, this process encrypts it so that in order to be viewed, a password needs to be entered. 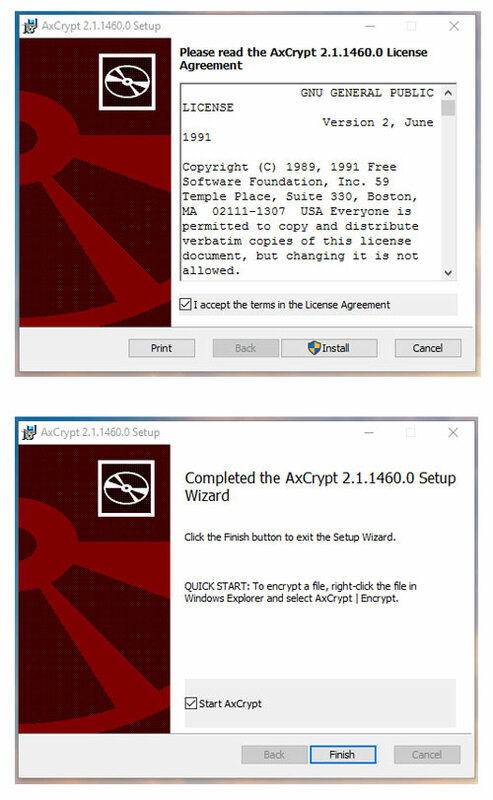 The program we’re using for this is called AxCrypt, and you can download it at AxCrypt.net. 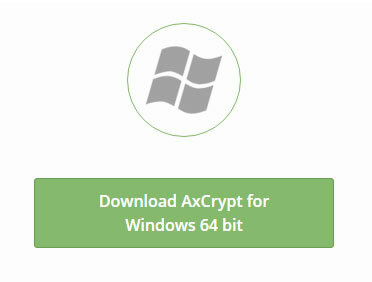 AxCrypt has both a free version, and a paid version. Obviously you get more features with the paid version, but the biggest difference I can see is that the paid version allows you to encrypt entire folders, whereas the free version only allows individual files to be encrypted. The paid version is 24 Euros per year, which currently converts to about $27 in US dollars. So, in order to use the free version, you just need to encrypt all of your individual files (pictures, documents, spreadsheets, etc). You might find it easier to just create a folder for all of those files. Someone would still be able to get into the folder, but they wouldn’t be able to open any of those files unless they have the password. 2) Click the download button that is appropriate for your computer. For most people it would be 64 bit, unless you’re using a computer that is pretty old. 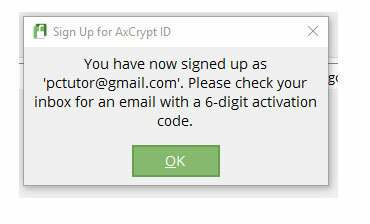 7) After you have confirmed your email, you’ll need to create a password. Remember, as with all passwords, it should be strong and unique (not a password you have used anywhere else). That will activate your account. Now you can start using the program. To try it out, create a test file such as a Word document or an Excel spreadsheet, or just a regular text file with Notepad. Save that test file in your Documents folder. In the example below, I created a text document called “TEST FILE.txt”. 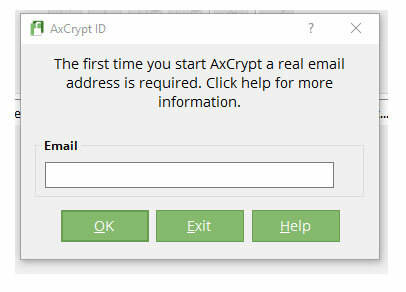 When you right click on that file, the menu that comes up will have an entry for AxCrypt. Just mouse over that menu, and another one will fly out to the size, and you can choose to Encrypt that test file. 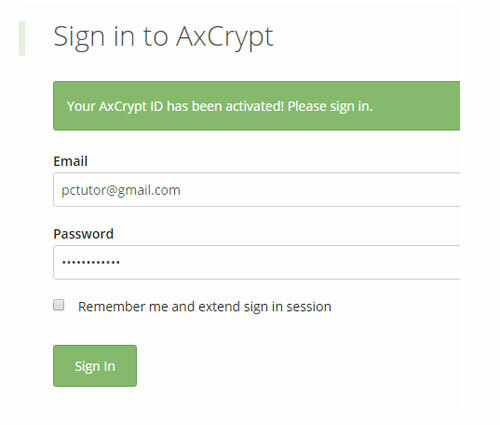 Whenever you’re working on your computer, it’s good to make sure you are signed OUT of your AxCrypt account. You can do that by right-clicking on a file and this time choosing “Sign out”. That way, if someone tries to get into any of your encrypted files, they will need to sign in with your password in order to gain access. And of course, you can decrypt a file by going through the same right-click process and choosing “Decrypt”. 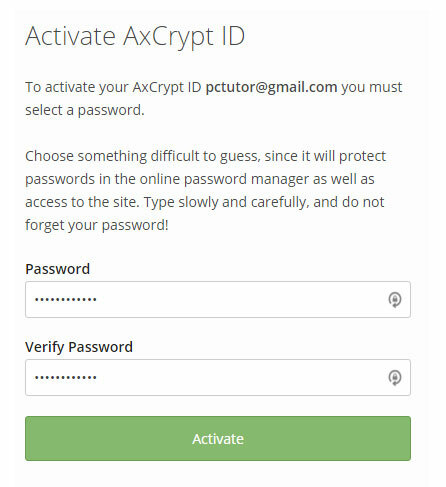 You’ll be asked for your AxCrypt password, and that file will be decrypted and viewable by anyone. 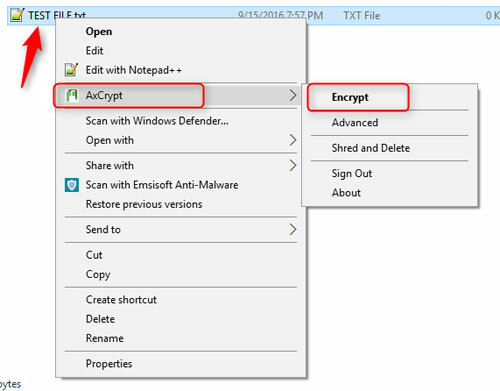 If you have a need to encrypt a specific folder, or multiple folders, it might make sense for you to get the paid version. Otherwise, for most people with just a single file or a few files that need to be protected, the free version is sufficient. Here are a couple of videos from the AxCrypt website that show more detail. 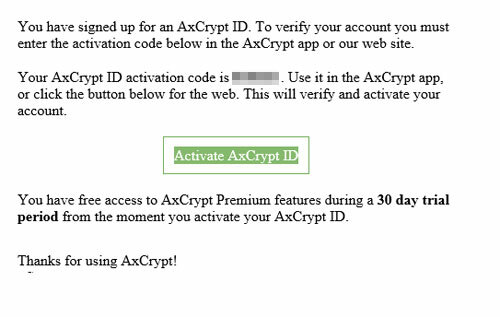 The first one is for setting up your AxCrypt account, and the second one is getting started with using it.